Indonesia is one country with thousands of historic relics. Before the formation of the Republic of Indonesia, this region was an area consisting of several kingdoms with the Most Beautiful Royal Palace which still stands even though it is hundreds of years old. In fact, you can visit it as your tourist destination. Some of these palaces are still used today and some have been used as museums by the local government or their families. 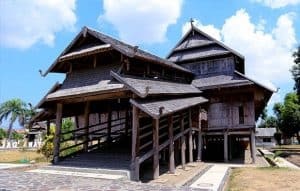 Here is a list of the royal palaces in Indonesia that remain today. The Ngayogyakarta Hadiningrat Palace is the official palace of the Ngayogyakarta Sultanate which is still used today as the Sultan’s residence with his family. This magnificent palace located in the city of Yogyakarta is one of the Grandest Palaces in Indonesia. 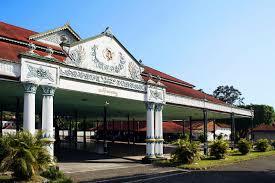 The Yogyakarta Palace was founded by Sultan Hamengkubuwono I a few months after the Giyanti Treaty in 1755. The location of this palace is said to be a former fort called Garjitawati. 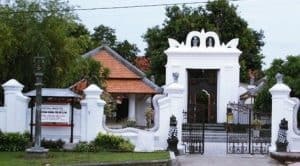 This guesthouse is used as a resting place for the remains of the kings of Mataram (Kartasura and Surakarta) who will be buried in Imogiri. While the other vesri said the location of the palace was a spring, Pacethokan Bannerman was in the middle of Beringan Forest. 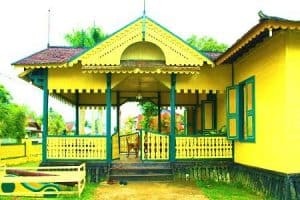 Before placing the Yogyakarta Palace Sultan Hamengkubuwono I lived in Pesanggrahan Ambar Ketawang which is now included in the Gamping District, Sleman Regency. The Surakarta Keraton or Surakarta Hadiningrat Palace is a Surakarta sultanate palace which was founded by Susuhunan Pakubuwono II in 1744 as a palace replacement or the Kertasura palace which was devastated by Geger Pecinan in 1743. The Surakarta Keraton is one of the grandest palaces of its time. One of the architects of this palace was Prince Mangkubumi (later the title Sultan Hamengkubuwono I) who also became the main architect of the Ngayogyakarta Palace. 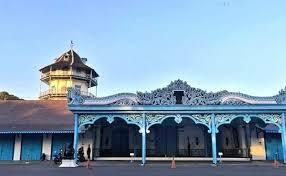 Most of the Surakarta Palace is white and blue with Javanese-European mixed style architecture. At present the Surakarta Palace is one of the attractions of Solo City. Most of the palace complex is used as a museum that stores various collections belonging to Kasunanan including various gifts from European kings, replicas of the palace heirlooms and gamelan. In terms of its building, the Surakarta Keraton is one of the best and grandest examples of traditional Javanese palace architecture in Java. 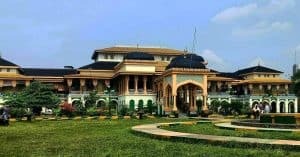 Maimun Palace is a palace inherited from Sultan Deli, Makmun Al Rasyid Perkasa Alamsyah which is the eldest son of the founder of Medan City, Sultan Mahmud Perkasa Alam. The palace which was built in 1888 was designed by an architect from Italy. The 2,772 square meter palace has 30 rooms with unique designs that inherit elements of Malay culture in the style of Islam, Spain, India and the Netherlands. The influence of Dutch architecture is seen in the shape of the temple and the wide and high windows but there are also some doors that show influence from Spain. Islamic influence is in the existence of an arc of the roof with a height of about 5-8 meters. This form of arch is very popular in the Middle East, India and Turkey. Istano Baso is also known as Istana Pagaruyung located in Tanjung Emas District, Batusangkar City, Tanah Datar District, West Sumatra. The palace is actually a replica of the original which is located on the top of Batu Patah Hill and burned to the ground in a bloody event that occurred in 1804. The palace was later rebuilt but it was burned again in 1966 due to lightning which struck the top of the palace. The process of rebuilding Istano Baso was carried out by placing Tunggak Tuo (Main Pole) on December 27, 1976 by the Governor of West Sumatra at that time, Mr. Harun Zein. The new building was not established in a long time but in a new location to the south of Istano Baso which caught fire. 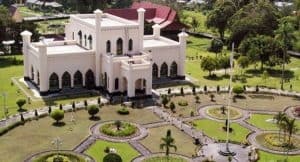 The house of Sumbawa Palace or Istana Dalam Loka is the most beautiful royal palace of historical heritage from the kingdom located in the city of Sumbawa Besar. In Loka was built in 1885 by Sultan Muhammad Jalalludin III (1883-1931) to replace the palace buildings that had been built on the land before because it had been rotted with age and some even burned. The palaces include the Bala Balong Palace, Bala Sawo Palace and Gunung Setia Palace. Istana Dalam Loka has an area of around 696.98 square meters with 2 twin buildings which are supported by 98 teakwood poles and 1 short pole (teacher’s pole) made of chili trees. The total number of truss is 99 pillars that symbolize the nature of Allah SWT (Asmaul Husna ). Cirebon Kesepuhan Palace which was founded in 1452 by Pangeran Cakrabuana is one of the most beautiful Royal Palace in Cirebon. The meaning in every corner of the palace is even the most historic architecture. The front page of the Cirebon Kasepuhan Palace is surrounded by red brick walls and there is a pavilion inside. This monkey has a museum that is quite complete, containing heirlooms and royal collection paintings. One collection that is sacred is the Lion Barong Train which is the Sunan Gunung Jati Kencana Train. At present the train is no longer used but every 1st of Shawwal this train is issued for cleaning. 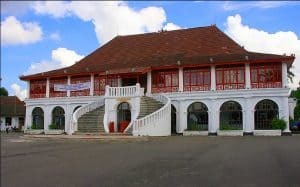 The inner part of the Cirebon Kasepuhan Palace consists of a white main building in which there is a living room, a sleeping room and a king’s throne which has nine colored fabrics in the background symbolizing Walisongo’s figure. 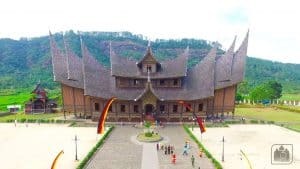 The palace owned by the Ismahayana Kingdom of Porcupine was built during the reign of the 7th king, Abisekha Ratu Brawijaya Angkawijaya (Ratu Sang Nata Pulang Pali VII). He was the last king in the kingdom of Ningrat Batur. This palace complex includes the Hedgehog Palace (Ilir Palace) Permasuri Residence (Ulu Palace) and the residence of Neang Raja (Sultan’s House). The palace began to be restored and renovated again around the 1950s and 1960s after a fire which caused damage to several parts of the palace. The Royal Palace Singaraja or often called Puri Agung Singaraja or Puri Gede was built by the first king of the Kingdom of Den Bukit, Ki Gusti Anglurah Pandji Sakti on March 30, 1604. He is the son of Dalem Sagening, Raja Bali Dwipa who lives in Gelgel Puri, Klungkung . 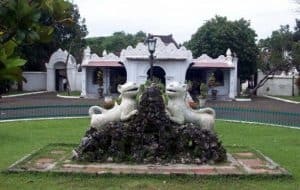 Raja Ki Gusti Anglurah Pandji Sakti then built his new palace about 5 kilometers southeast of Panji Village, which was named Sukasada on March 30, 1604. Then he built his third castle in Gembal Cornfield about 1.5 kilometers north of Sukasada, which was named Singaraja also known as Puri Buleleng and was developed by his grandson Ki Gusti Anglurah Pandji Bali. Pui Singaraja is the forerunner of the city known today with the Capital of Buleleng Regency. Siak Sri Inderapura Palace is the official residence of the Sultan of Siak which was built in 1889 during the reign of Sultan Syari Hasyim. The palace which was completed in 1893 is a legacy of the Sultanate of Siak Sri Inderapura, a Malay Islamic Kingdom that once stood in Indonesia, which at that time emerged as a strong maritime kingdom and became a force calculated on the east coast of Sumatra and the Malay Peninsula. The palace, dubbed the “East Sun Palace” is located in Siak Regency after the proclamation of the independence of the Republic of Indonesia, the last Sultan of Siak, Sultan Syarif Kasim II declared his kingdom to join the Republic of Indonesia. Kuto Lamo Palace was built by Sri Paduka Sultan Mahmud Badaruddin Jayo Wikramo bin Sultan Muhammad Mansyur Jayo Inglago is one of the Most Beautiful Royal Palaces in Indonesia which still stands firmly today. This palace was used by Palembang Darussalam sultans before the construction of the Kuto Anyar Palace in the Besak Fort of Kuto Anyer. Furthermore, Kuto Kecik was dismantled by the Dutch Colonial Government and built into the Dutch Resident’s House. The Kuto Lamo Palace is currently used as the Sultan Mahmud Badaruddin II Museum and the People’s Struggle Monument (MONPERA) in South Sumatra during the Five-Day Five-Night Physical Revolution (January 1 to January 5, 1947). Those are the list of royal palace in Indonesia that still remains and well conserved today. Hopefully, the people in Indonesia are more conservative toward the historical heritage so they can still exist until the next century.